As no two gardens are alike, I have learned that no two approaches to designing a garden are alike. A garden design can range from a simple discussion of the obvious to a series of drawings and meetings to work through and finalize a design. My drawings are to scale and drafted by hand. 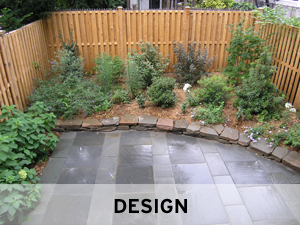 They are simple plans and elevation to illustrate the design of your garden. My objective is to find an approach that works for the client and the garden itself. Soil Work: The key to a successful garden; emphasis on turning and amending soil. Planting: Selection, Delivery and installation of small trees to annuals. 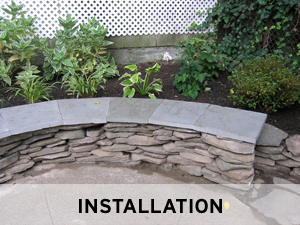 Stone work: Bluestone and Brick patios; stone retaining and seating walls; rock gardens. 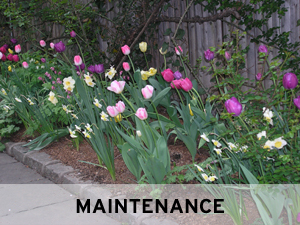 General maintenance: pruning, fertilizing, weeding, monitoring.